Key difference: HTML stands for HyperText Markup Language. It is a well known mark up language used to develop web pages. It has been around for a long time and is commonly used in webpage design. DHTML is essentially Dynamic HTML. It is a new way of looking at and controlling the standard HTML codes and commands. 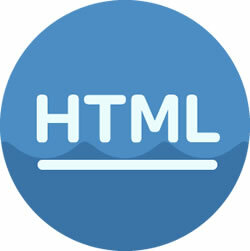 DHTML is a collection of technologies that are used to create interactive and animated web sites. DHTML also allows the pages to change at any time, without returning to the Web server first. It allows scripting languages to change a web page's look and function after the page has been fully loaded and during the viewing process. It also allows the user to add effects to their pages that are otherwise difficult to achieve. 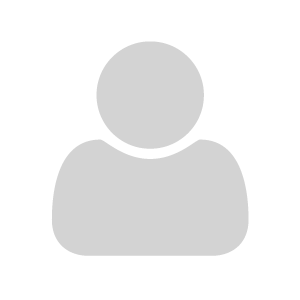 Use a form to capture user input, and then process, verify and respond to that data without having to send data back to the server. HTML is a mark-up language, while DHTML is a collection of technology. DHTML creates dynamic web pages, whereas HTML creates static web pages. DHTML allows including small animations and dynamic menus in Web pages. DHML used events, methods, properties to insulate dynamism in HTML Pages. HTML sites will be slow upon client-side technologies, while DHTML sites will be fast enough upon client-side technologies. HTML creates a plain page without any styles and Scripts called as HTML. 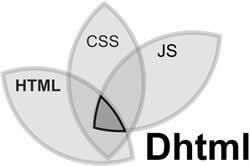 Whereas, DHTML creates a page with HTML, CSS, DOM and Scripts called as DHTML. HTML cannot have any server side code but DHTML may contain server side code. In HTML, there is no need for database connectivity, but DHTML may require connecting to a database as it interacts with user. HTML files are stored with .htm or .html extension, while DHTML files are stored with .dhtm extension. HTML does not require any processing from browser, while DHTML requires processing from browser which changes its look and feel. HTML site work slowly upon client-side technologies.